Reich & Paolella’s practice focuses on commercial litigation, appeals and critical motions, and white collar defense and investigations. We represent claimants as well as defendants. 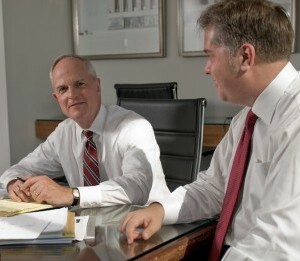 We handle high-stakes commercial disputes for our clients in federal and state courts, before administrative agencies and regulatory authorities, and in domestic and international arbitrations. We also provide our clients with top-notch advocacy in appeals ranging from civil disputes to criminal cases to constitutional litigation. We successfully represent both corporations and individuals in criminal and regulatory investigations by the U.S. Department of Justice, federal regulatory agencies, and state and local authorities. We also conduct internal investigations, assisting our clients in making critical judgment calls like whether to disclose adverse findings, waive privileges, and take remedial measures. Our experience includes work in both government and the private sector. Our partners have practiced at top national law firms, prosecuted cases for the federal government, and clerked on the United States Supreme Court. Clients’ legal issues are often complex and require expertise in all three practice areas: Civil actions frequently accompany criminal and regulatory investigations, and appellate strategy can impact how a case is tried and how critical motions are framed. Because each of our lawyers has experience in every one of these areas, we can efficiently develop and implement global strategies for our clients.